Perama. 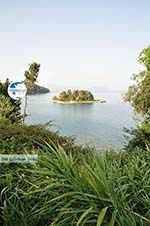 Perama is located south of Corfu town, just across the bay near Kanoni. It is a village in the southeast coast of Corfu, it is surrounded by several beaches. Perama is a small seaside resort which is situated on a winding road, overlooking Pondikonissi (Mouse Island) and the airport. This holiday resort is enclosed by lots of green olive and pine trees. 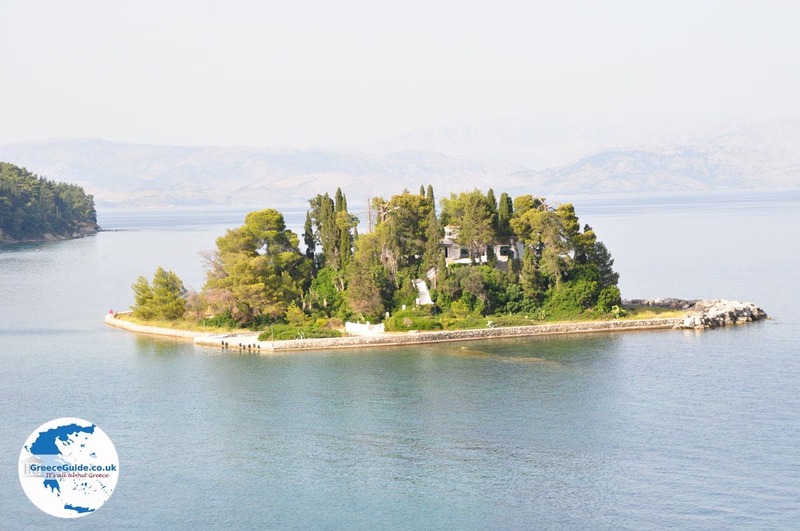 It is known for the Achillion, the summer home of Empress Sissi, which is not far from here. The beaches at Perama and Aeolos are great for children because the seabed slopes gently here. 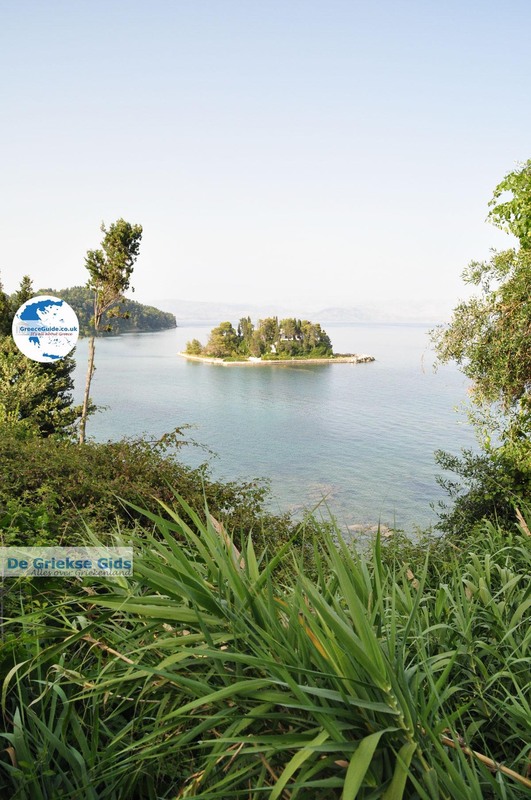 The distance to Corfu Town is about 8 kilometres. In Perama there are a lot of old ouzo factories. There are many hotels and tavernas at the port of Perama, and there is a small ferry boat where you can cross to the other side of the Gulf of Geras. In the centre of Perama are shops, supermarkets and bars. Along the coastal road to the city center, are all kind of cafes, restaurants and tavernas. 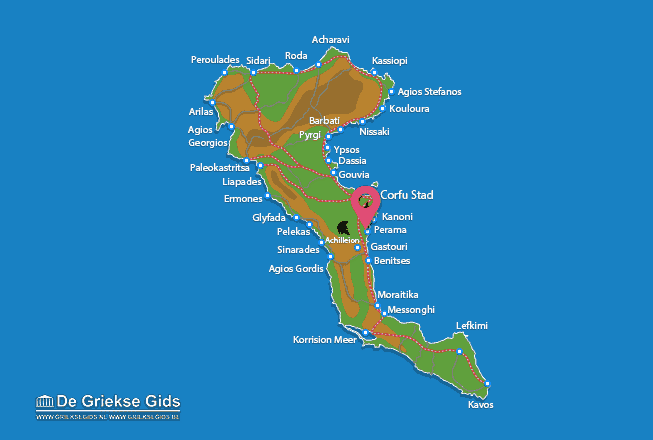 Corfu: Where on the map is Perama located?